Ontology (ONT) is a cryptocurrency token generated on the NEO blockchain. The total supply of Ontology that will ever be issued is 1.00 Billion tokens, and the current supply of ONT in circulation is 494.85 Million tokens. Current Ontology price is $ 1.11 moved up to 1.75% for the last 24 hours. All time high (ATH) price of Ontology reached $ 11.17 on 3rd May 2018 and fallen -90.0% from it. Ontology's share of the entire cryptocurrency market is 0.30% with the market capitalization of $ 550.18 Million. Ontology’s 24 trading volume is $ 85.31 Million. It is trading on 56 markets and 23 Exchanges . Find more details about Ontology cryptocurrency at the official website and on the block explorer. Ontology price Index provides the latest ONT price in US Dollars, BTC and ETH using an average from the world's leading crypto exchanges. The Ontology to USD chart is designed for users to instantly see the changes that occur on the market and predicts what will come next. Ontology is a blockchain distributed ledger network which combines a distributed identity system, distributed data exchange, distributed data collaboration, distributed procedure protocols, distributed communities, distributed attestation, and various industry-specific modules. Ontology builds the infrastructure for a peer-to-peer trust network which is cross-chain, cross-system, cross-industry, cross-application, and cross-device. Ontology created a distributed trust system. It incorporates multiple trust types in an integrated protocol system with various blockchains and databases. Multi-source identities and multi-source data exchange protocols have been implemented into the network, building a distributed trust system that is cross-chain, cross-industry, cross-system, cross-application, and cross-device. Ontology uses a dual token (ONT and ONG) model. ONT is designed to be used for staking in consensus, and ONG is a utility token which is used for on-chain services. ONT releases ONG periodically. 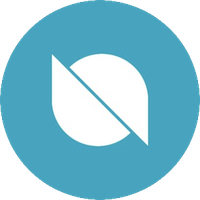 Ontology Token (ONT) is a NEP-5 token which had been used before the Ontology MainNet was launched. Now the Ontology MainNet is released, all NEP-5 ONT is currently undergoing token swap to the native ONT coin.